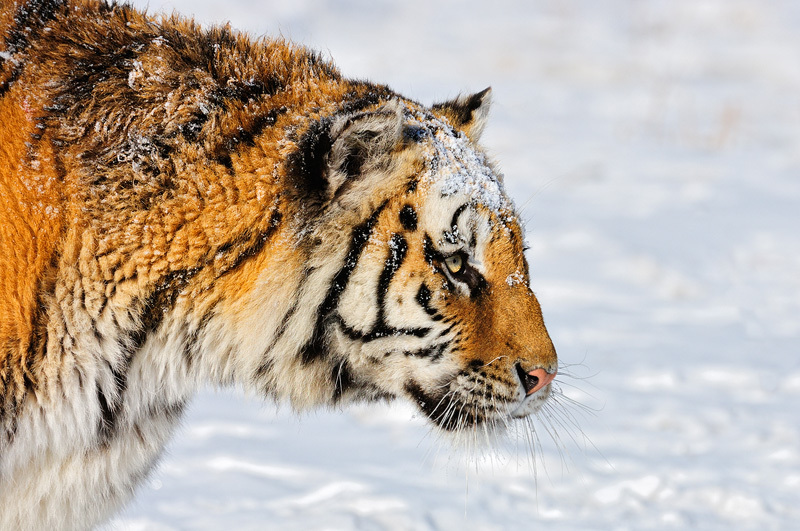 The image was shot at a large tiger reserve in the northeastern corner of China, close to the Siberian border. As 99% of all the tiger images we see are Bengal tigers (Panthera tigris tigris), I decided to go for the largest subspecies of tiger, the Siberian tiger (Panthera tigris altaica). It has a thick coat to protect it from the cold, distinguished by a paler golden hue and fewer stripes. I took this shot in a similar way as you'd do in India; from an open vehicle. The only difference being that it was -38C/-36F. I've never felt so cold in my life.